The BRAND NEW single from the forthcoming album "The People Always Pay". Available over the Holiday Season on iTunes, Google Music and Amazon Music. Also available at my Times Square shows as Digital Download Cards. Well it’s Christmas in Times Square again. I will be performing Christmas Specials almost every night through December. I am pumped and fresh from November 30th’s performance with Gerry Leonard of David Bowie Band, and Vernon Reid of Living Color, at Joe Hurley's Wham Bam Thank You GLAM! in New York City's City Winery. The plans for the coming month will mostly be centred around what is commonly known as The Centre of the Universe, Times Square. I have a new show in O'Lunneys on 45th street on December 22nd, where we will be in full Christmas mode. I am getting the itchy feet to travel for performance again. So far, I have committed to a Saint Patricks Day show at the Jersey Show for March 17th. Details to follow. I have a weeks vacation in Martinique, and maybe there I might be inspired to write a song as the great Cole Porter did when he visited there, Begin The Begin. In February I will be in Ireland for a week, then Switzerland for three days to fulfill a dream I have had since I was twenty years old, to visit Charle Chaplin's home in Corsier-sur-Vevey, near Lake Geneva. I will also keep everyone posted on plans for 2019, Festivals, shows in Washington D.C. and possibly a few return shows in Las Vegas. I will be recording a few demos which I hope to develop into my long planned album "The People Always Pay". One tune is a Christmas song I composed. The lyrics were crafted with my great, and talented friend David Dasch. Another tune, is a duet planned for me with a dynamic and a NYC, World Wide Soul Singer. I am in the process of composing the song with another very talented friend, Mick McDonnell from Dublin Ireland. The three of us are very excited about the project. Lastly, My brother, his wife, and two daughters are coming over to stay at Wisteria House on December 26th, for that I am just delighted, though I do wish my Ma was coming over too, but sadly not. We went all-out as usual, but with a few extras this year at Wisteria House on our Christmas decorations. I might post a few videos on my facebook account. Happy whatever you celebrate this December. On stage in NYC at The City Winery. Performing a classic Bowie song with two guitar legends, Gerry Leonard from David Bowie band, and Vernon Reid of Living Color. Breathing Like an Alien View now! I am feeling more elated and optimistic than ever, now that I have released the best work I've ever created. Breathing Like An Alien is now available on YouTube, Instagram and many other platforms. We will keep our supporters informed right here on derekdempsey.com in the coming days when Breathing Like An Alien is available to purchase on iTunes. I say OUR, because I have a team of amazingly talented and dedicated people who have given me more than I probably deserve. I cannot express in words how grateful I am. Two people in particular on the creative side are Jeff Mooney and Al Hemberger. They have both worked on the project for so many hours, hours that amount to a sum unable to be counted by any man, woman, or machine. Breathing Like An Alien will make its New York City, Time Square debut this Friday November 3rd at O'Briens West 46th. This is phase one of the 'Midtown, Downtown, Uptown' Alien Invasion. The launch is part of the nationwide Alien Invasion which will take in New York City, Washington D.C. and Las Vegas between November and February of 2018. There are plans under way to bring The Alien Invasion to Los Angeles, Canada, Ireland, France and other regions in Europe. The 'Midtown, Downtown, Uptown' launch takes place over three days in New York City's Time Square. Starting with the invite only party at O'Briens of Time Square where we will screen the video of Breathing Like An Alien and present the Alien merchandise. Saturday's Alien show is at The Mean Fiddler on 47th street, from 8-11 and the last of the Midtown launch performances takes place at the Pig and Whistle on 46th. We will play the video of Breathing Like An Alien on the 15 TV screens at the Mean Fiddler on the night. Details of the Downtown and Uptown launches to follow, as well as Washington D.C. and Las Vegas Alien Invasion and launches. Share the the video on your Facebook and Youtube accounts and become part of our Alien universe. "He is a spirited lively entertainer, a magnificent voice, has a huge repertoire, and enough energy to light up New York. Well done, Derek." Malachy McCourt, author of 'A Monk Swimming'. 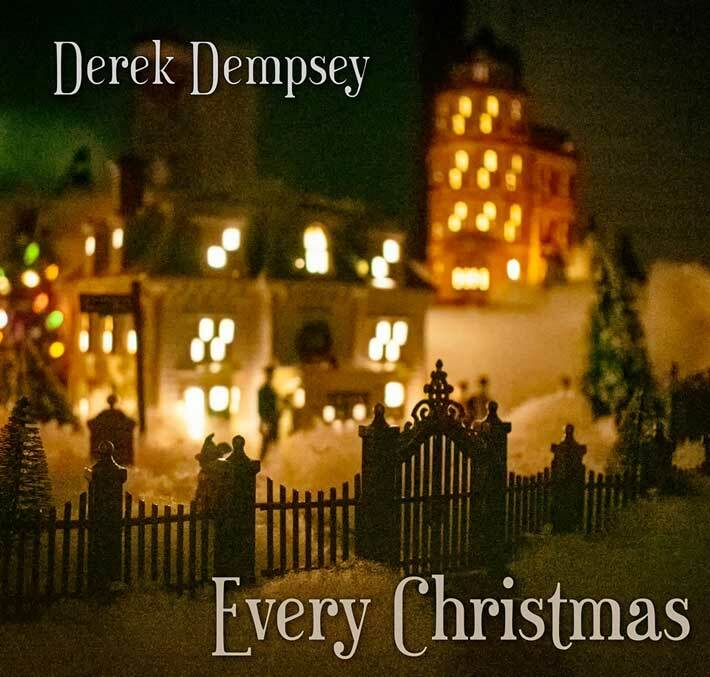 "I have known Derek Dempsey as an artist, singer and performer, he is in possession of a beautiful unique voice that is God given... But Derek also has an essential ingredient for success that cannot be taught or learned and that is the natural ability to communicate through music and song. There are few who watch and listen that will not be captured by his stage presence and sensitive treatment of every song." "Derek Dempsey is one of the most distinctive of Irish singers - for me, he's always sat somewhere in between the marvelously honest Gerry Marsden and everyone's hero, David Bowie... He'll succeed or fail in the commercial realm, but only on his own terms - that's because he's an artist and in the end that's all that matters." "Derek has a million dollar voice"